The design fits in nicely with the other denominations. As for the face value, well, East Timor does not have its own currency but uses the US dollar. So maybe people have become used to the "duality" of TL centavo coins and US dollar notes ... Just a guess. 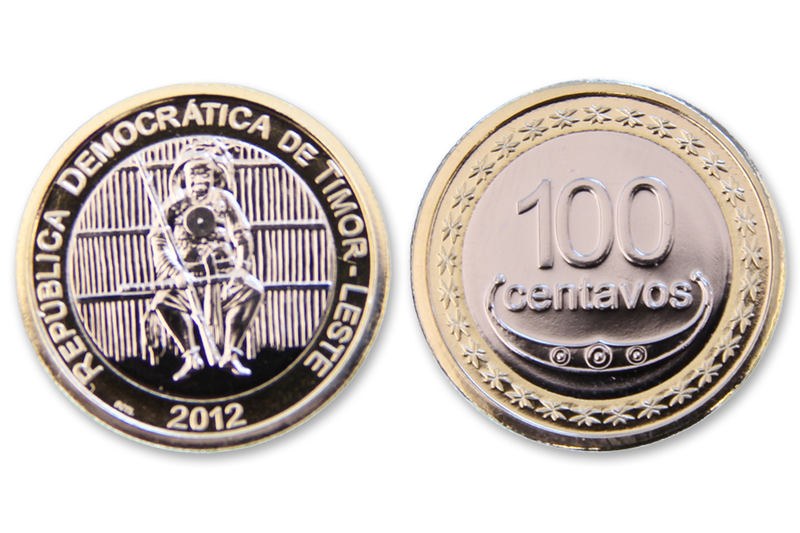 So this coin has face value of 100 Centavos or 1 USD. Interesting! What makes it more interesting is that it's much heavier than the other denominations: the second highest denominated 50 Centavos coin weighs 6.5 g while this coin weighs whooping 14 g! this coin is minted for circulation or only for collectors??? Said on worldcoinsnews that only 2,000 coins were minted. edit: a little more checked at wbcn, there are 50 million coins. That's enough for circulation. Really love to have one. edit2: just noticed that 2000 coins weigh 14 grams while those 50 million coins weigh 7 grams. This has already been posted. More than that, pls take the time to consult google maps. You may learn something! I have searched the name Timor-Leste, Timor, Leste but i didn't fine anything related to this or same as. Please help so it would help me by not posting duplicate thread. which will save my time as well as all forum members. If you had checked the map, you would have looked for South East Asia. Moreover. When you are on the home screen, and you type "Timor" in the search box, you should have pulled up the topic quite easily. So the Portuguese mint sells the piedfort-type version (mintage 2,000), but the "regular" version is 7 instead of 14 grams? Hmm that's interesting. I know Royal Mint (UK) makes piedfort type version specifically for collectors, so now they have got a partner. I don't know if this coin has 2 versions, but I think that 14 gr for only 23.75 is too much. Maybe, the weight that is described in the Portuguese Mint includes the folder too. Will be minted 2,000 coins in folder, and another 2,000 in the complet BU-Set with the rest of the coins: 4,000 coins in total. So I think that this coin was already planned earlier.